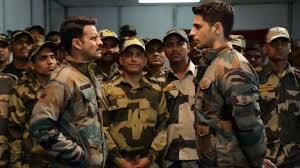 The director of ‘Baby’ and ‘Rustom’ Neeraj Pandey is ready to hit the theatres with his new movie “Aiyaary” that will be released on February 9 but it was supposed to release on 26 January but further delayed its release because then the movie will have clashed with Padmaavat. Like every movie of Neeraj Pandey this movie also has a social message. Talking about the movie this movie is written and directed by Neeraj Pandey and produced by Shital Bhatia and Bhaval Gada. Aiyaary is the movie based on the true events of two strong-minded army officers. The movie is based on the relationship between the ‘guru and shishya’. Siddharth (major Jai Bakshi) is in the role of the army officer and Manoj(Colonel Abhay Singh) is his guru. Songs of the movie are becoming popular. There are three songs in this movie. The first one is ‘le dooba’ which is released on 30th December 2017. This song is sung by Sunidhi Chauhan and this song is liked by many followers and fans. the second song of this movie is ‘Yaad hai’ which is sung by Ankit Tiwari and third is ‘shuku kar’ which is sung by Amit Mishra.All three songs are too good and the audience loved the songs of this movie. This film was all set to hit the screens on 9th February and then it would have clashed with Akshay Kumar starrer movie Pad Man but after seeing the competition with Pad Man, Sidharth Malhotra pushed the movie to 16 February. The audience liked the trailers of the both of the movies equally. So let’s see which movie will win in the collision of Pad Man and Aiyaary and who will defeat whom, but we cannot see the actual clash of the movies as Pad Man will b released earlier and Pad Man is expected to earn more on Box Office. Previous articleCake Browser : Unique Features to rule over Chrome, Google, Safari and UC Browser.